Most of the blinds and shades we sell at Blinds Chalet are very simple to install. However, some customers have large windows, hard to reach windows, or just feel more comfortable having a trained professional measure and install for them. For these reasons, we have partnered with Nationwide Blind Installation! Finding a professional to either install or even measure and install for you has never been easier. If you have any questions at all about this service, please call us at 888-633-7840 and we would be happy to assist you. 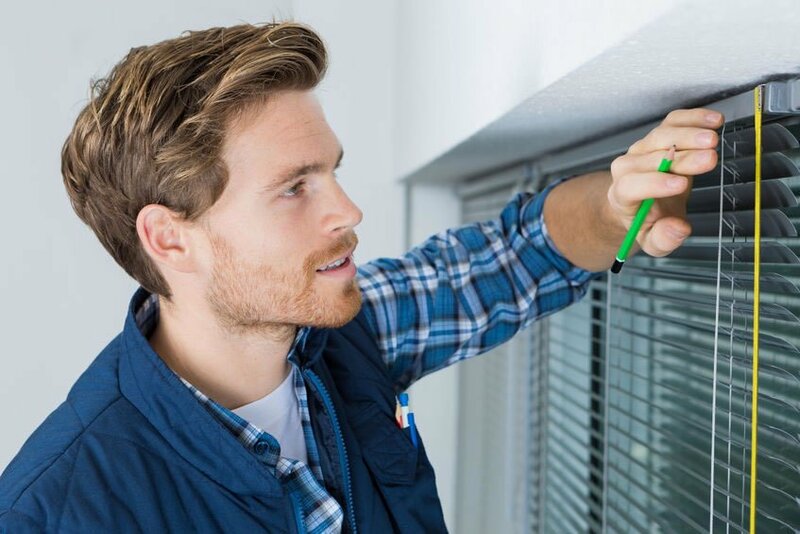 Find a qualified professional in your area to measure install your blinds in three simple steps! Shop our site for the blinds or shades that you want or call and speak to one of our Design Consultants who can help you find the perfect window treatments. Return to this page after you place your order to enter your zip code and find the installers in your area. Once you receive notification from us that your blinds have shipped, simply reach out to your installer to schedule the appointment. Do you want a professional to measure your windows for you and then install your window treatments? Not a problem. Simply enter your zip code below to find a list of blinds professionals in your area. Once you have found the professional you want, simply contact them and schedule a time for them to measure. Once you have your measurements, you can build your order at blindschalet.com or contact one of our Design Consultants to assist you. Then, once you receive notification from us that your blinds have shipped, simply reach out to your installer to schedule the appointment. Do you need a blind or shade professional to install for you? There are several reasons why you might want a professional to measure or install for you. That is why we make this available to our customers. We have partnered with National Blind Installation network in order to offer everyone across the United States the opportunity to find a well-qualified professional. Why we chose to work with Nationwide Blinds Installation (NBI). The search is free, you just pay the installer for any work they do. Nationwide Blind Installation guarantees both the measurement and installation for 12 months. All of the installers that NBI uses are licensed, bonded, and insured. They specialize in window treatments. NBI Installers have an average of twenty years experience in the blinds business. Disclaimer: Professionals in the Nationwide Blind Installationl (NBI) network are not employees or agents of Blindschalet.com. Blindschalet.com does not take a portion of any payment for contract work; we provide this link as a free service. Installation or other contract services herein are being provided exclusively by NBI through a referral and are not being provided by or guaranteed by Blindschalet.com or any of its affiliates. Any work is the sole responsibility of the Contractor and reference is hereby made to the NBI website and Legal Notices regarding the terms and conditions governing their service. Guarantee based on compliance with NBI's Terms of Service.